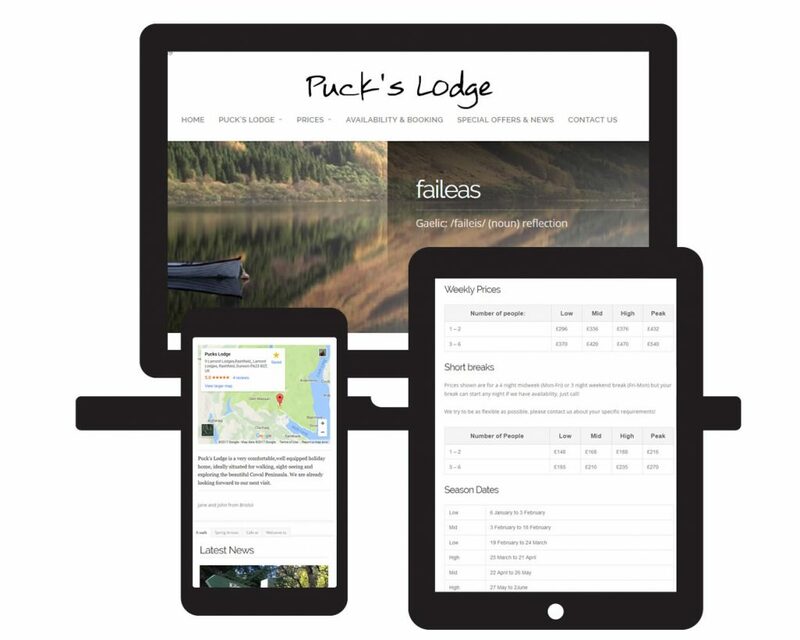 Puck’s Lodge is a holiday cabin by the side of Loch Eck in Argyll. The client needed a site that would emphasise the location’s relaxed, beautiful and remote location. Keywords were chosen to convey these aspects of the place and bring something of the area’s Gaelic culture to the design. The new site is mobile friendly, search engine optimised and has an easy to use content management system. It handles online booking as well as availability and contact details.